These aren't your grandma's Christmas lights! Recreate your favorite Christmas light memories using retro C9 LED bulbs, without having to worry about connecting too many strings! Combine green and blue LED lights for a peace and hope theme, or red and green for traditional Christmas colors. 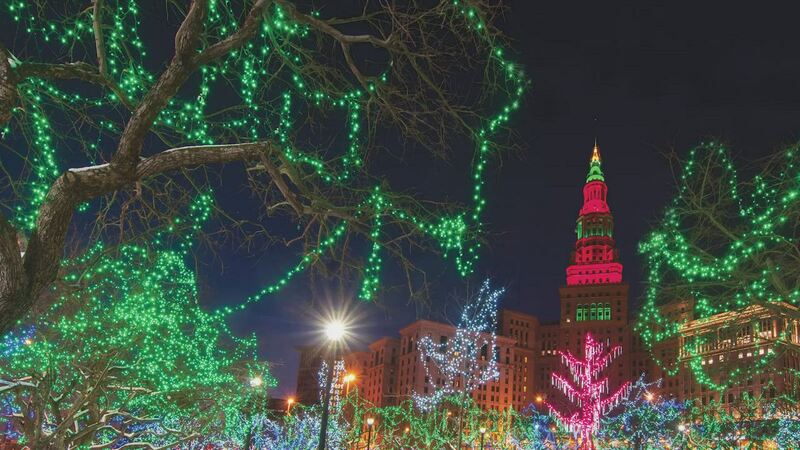 Share your Christmas spirit by hanging green lights along rooflines, wrapping outdoor trees, or use along walkways. 25 Green C9 LED lights spaced 8" apart on green wire, 17.0' total length. The lights came well packed, all working and right on time. Likewise, the lights held up during a very weather challenged winter that included much wind. Better than the store bought lights which were on the tree alongside these good ones. I will be shopping here again. This was the only place I could find replacement C9 Led lights for my old C9 incadescent lights. The lights are beautiful but more expensive than other manufacturers. Time will tell if they are worth the extra money. I love them, my house was radiant in green trim. I love them! If you're looking for green lights, pick these! These lights are very bright and durable. I mistakenly bought the C9 this year instead of the C7, and from a distance you can not tell the difference. I like these larger LED's. They are a great color! We did not have a single problem. All 12 strands we used this year worked great. They are now packed up and ready for next year. Our place catches north wind directly and it's hard to find lights that hold up in harsh conditions. They did great even covered in ice for days. I am replacing all my old green C9 lights with these green LED versions. I run them around my sidewalk and into the grass. They put out plenty of light. I am very happy with them. I purchased theses sets to to take the bulbs out of them and use them to replace bulbs on my regular C9 set. However the complete set strand which I purchased does not have removalbe bulbs. It was my fault for not studying it better but I will probably use them elsewhere sooner or later. I would recommend these light sets they were everything we expected and then some quality brightness is superb!!! The service and delivery of our order was excellent. I was a little disappointed that the string of lights did not include one spare bulb. I also have not been able to figure out how to remove a bulb for replacement, if necessary. That is why I couldn't rate it at 5 stars. I finally unpacked all my lights from September. They were well packed, all worked, and look great. Green is an impossible color to find at the big box stores. Keep those choices coming! I gave it a 4 only because it is a pain to untwist the cords. Good quality bulbs that are pretty bright for LED lights.